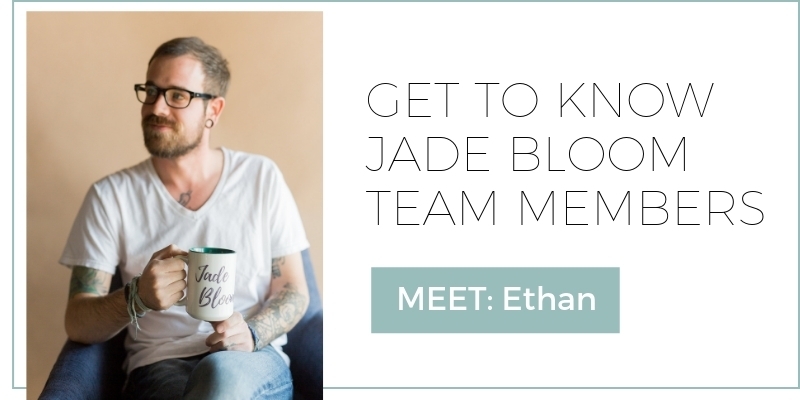 June 24, 2016 -- Get to know Jade Bloom Team Members - Meet Ethan Thomson! In the past 2 years of business, we've had repeated requests from our loyal customers to get to know the people behind Jade Bloom. We have decided to dedicate a portion of our blog to occasionally introduce a new member of our team through a fun questionnaire created by team member Jackie Mallett. If you have new questions you'd like to see on our questionnaire then feel free to email them to our support team. We'd love to hear from you! Today, meet Ethan Thomson. You may have received a package personally signed by Ethan. My favorite Jade Bloom product is our new line of deodorant, for many different reasons. First and foremost, I know what ingredients are put into commercial brand deodorants and I want to avoid that at all costs. It is a practical, and easy way to implement essential oils into your lifestyle. Everyone uses deodorant, so it is an easy way for me to introduce people to the amazing benefits of essential oils and all-natural products. Family is very important to me, so I spend as much time with my two-month-old daughter, and her mama as often as I can. I also take pride in hard work, I enjoy tending to my lawn, and doing projects around the house. To relax, I like to play a round of disc golf with my brother and fellow Jade Bloom team member, Adam. I wish that I could spend my time playing an instrument, any instrument... It’s always been a life goal of mine to be a musician. There are two types of people in this world; there are people who want to be seen working hard, and there are people who want to be seen for their hard work. Family is very important to me, so of course, I want my family to look for natural prevention and remedies when available. Also, I am a very logical person, and natural products are the logical decision to make when I am looking to live and teach people about maintaining a healthy and active lifestyle. My mission in life is to raise, protect, and provide for my family, through any means necessary. I want to give my children a strong example to look up to, and through open-honest communication, be able to teach, and guide them through their lives. I don’t know… I think I would be a bear… They are beautiful creatures, with personality, intelligence, family relationships, and they hibernate through the winter… that sounds pretty awesome to me ha ha.